Backed by our prosperous industry acquaintance, we present Fully Assembled LIU Boxes. We provide full system integration solutions to meet the assembly needs of original equipment manufacturers. We offer dedicated professionals specializing in system assembly, box-build services. - We have customized lines for box build, integration, testing and burn-in facility. We are offering our client an excellent quality range of Box Build Assemblies. Design of high density, highly complex cards with large component package density needs to be handle separately with extraordinary electronic deign skills. Our Box Build Assemblies are available at most affordable prices. We are leading provider of complete PCB assembly and manufacturing services ranging from Printed Circuit Assembly to Complete System Integration and Box Build. Our customers are satisfied with our high-standards of electronic manufacturing services. The Box build solutions we tend to get involved with focus on high mix, high complexity products, with significant end of line product configuration and system integration. SMILE provides a comprehensive range of full Box Build and Integration solution from simple PCBA in to enclosure to complex chassis & wiring assemblies, final equipment manufacture and product encapsulation. Our services include full Functional and Soak test meeting the requirements of a varied number of applications and market sectors. Cubix offers complete “build to print services, from component assembly to final mechanical integration. We have the capability and knowledge to assemble your product, using our comprehensive experience in electronics and in mechanical, electrical and systems integration. 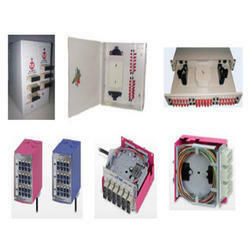 Cubix Control Systems Pvt. Ltd.